Christina Brown Dickson is a native of Brownsville, PA. She has been interested in art since early childhood. After graduating from college in El Paso, TX, Christina began teaching at the Fort Bliss Rec Center. She went on to teach painting at McConnell Airforce Base in Wichita, KS. Upon returning to southwestern Pennsylvania, she joined the faculty of Market Street Academy in 2014. The bulk of Christina’s work has been commissioned portraits. As a member of the National Herbal Society, she also enjoys painting florals and still life. Her art shows include: The National Road Festival, Fort Bliss NCO Club, the Cultural Arts Center and East Heights Methodist Church Bazaar in Wichita, and Emerald City Arts on McConnell Airforce Base. 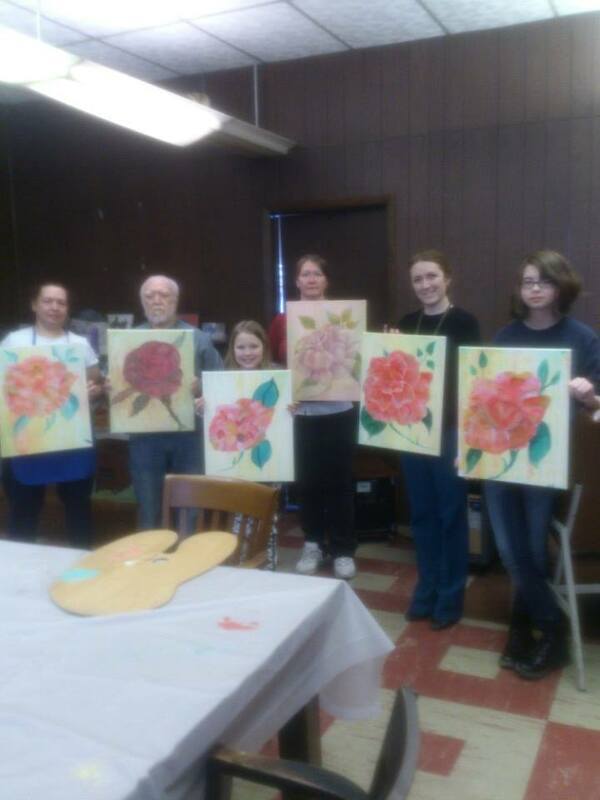 Christina’s monthly group workshops in acrylic painting began in January 2014 at the Academy. She also teaches sketching. New students are always welcome in her classes and may join the group at any time.